Thin Pig Media provides a full suite of services to assist brands excel at social media. From handling the day to day management of your brand’s social media to training your staff, from product and event marketing to social video advertising, Thin Pig can work with your team to identify business growth opportunities on social and execute innovative strategies to reach your goals. Nearly all consumers are on social media and it is vital for businesses to be present there as well. Furthermore, Social media is far more effective and targetable than most traditional media channels for reaching your audience. Many companies do not have the time, resources or expertise to manage their social channels. Active, profitable engagement that elevates your brand requires effort and strategy. Thin Pig will work with you to identify the best social channels to engage with your target audience. We will then craft and execute engaging strategies to meet real world business goals through consistent and active communication and management on those channels. We provide management for Facebook, Twitter, Instagram, YouTube and Pinterest. Customers are discussing your brand on social media and affecting its perception. It is critical that brands insert themselves into the conversation to provide customer support and real-time feedback. Our team of social managers monitor mentions about your brand and work with you to respond when necessary in the appropriate way to ensure a positive image of your brand. Review sites such as TripAdvisor, Expedia and Yelp are today’s word of mouth, and the primary sources consumers will use to research their purchases. It is critical that brands monitor and respond in a timely manner to control the conversation about their brand. Thin Pig will monitor consumer reviews on select review sites. Working with assigned client personnel, the Thin Pig Social Media Manager will discuss how you would like to respond to specific types of reviews and posts as well as an escalation path for any that fall outside the range of standard posts. Strategy around post responses and improving ranking on the various sites will be fine-tuned as we learn and strategize with client. A successful social media effort requires planning, organization and staying on top of current trends. If your social media team could use a tune up, our team can provide training and help to set up a successful social media operation. Our 8-hour on-site training course will evaluate your social media efforts (as well as your competitors) and we will provide recommendations to improve your social media efforts. This is ‘hands on’ training done at your location with 1-2 TPM team members. Social Media can be a very effective channel to communicate the vision and progress of a new hotel, especially when the website is limited in content. It is also a cost effective platform to develop a ‘fan base’ that is ready when the doors open. Leading up to the opening of a new property, it is vital to construct communication platforms and begin disseminating information about the brand so when the property opens there is an addressable, informed audience that can be marketed to. Thin Pig will work with your team to claim and build out your social media accounts. This includes a strategic discussion on what ‘handles’ should be used on Instagram and Twitter, converting Facebook ‘places’ to the actual business, and identifying and mitigating unofficial accounts when possible. 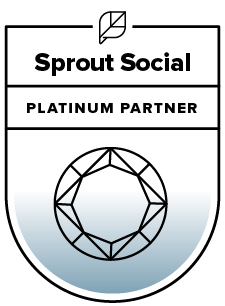 We will begin with a limited posting schedule supported by social advertising with the goal to provide a consistent flow of information and build the community and interest. Promotion of product launches or events require an integrated, strategic campaign implementing multiple social and digital tactics. Leveraging the power of advertising, contests, social media and engaging content ensures your target audience is aware of your product or event. Thin Pig will work with your team to design and execute a customized, robust marketing campaign to drive awareness and generate sales for your product or event. Social advertising allows businesses to reach and capture targeted consumers they otherwise would not. Social networks’ algorithms constrict the exposure of your content and make it difficult for new fans to find your brand. If you take the time to create valuable content, we believe it should be seen by as many targeted people as possible. Even a small investment in social media advertising exponentially increases your exposure. We offer advertising services for Facebook, Twitter, Instagram, Pinterest and Snapchat. Our advertising services include creating, optimizing, scheduling and reporting. Social contests, sweepstakes, and other fan engagement campaigns provide an excellent means for brands to engage and grow their social audiences. Thin Pig provides design, development, management, and prize fulfillment services. TPM will work with you to build, promote and advertise your contest, which includes a referral component to encourage your community to promote the contest to their friends. Social video advertising on Facebook, Instagram and YouTube provides a powerful and affordable tool to drive significant video views by using focused demographic and interest-based targeting and to generate engagement (comments, likes, and shares) by ensuring the targeted audience is comprised of viewers who will likely enjoy and share the video. By designing campaigns with focused demographic and interest-based targeting, Thin Pig will ensure the video is seen by an audience of users who will not only watch the video but also engage with it (Likes and Comments) and share it to their own social audience. People love seeing cool stuff transpire live. From live music performances to demonstrations by talented chefs to Q&A’s, the immediacy of live streaming creates compelling must watch social content. Thin Pig provides both live streaming services for on-location events as well training and equipment setup so clients are able to stream live whenever an opportunity arises.